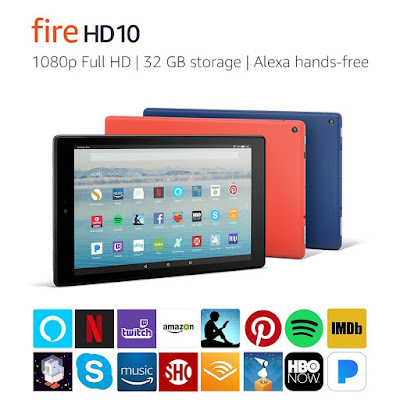 Today, April 26th only, head over here to score this highly rated Fire HD 10 Tablet 32GB w/ Special Offers for just $99.99 shipped (regularly $149.99) – choose from 3 different colors. This 10″ tablet has 32GB of storage with expandable storage up to 256GB using the microSD slot! Even better, you can instantly connect to any enabled Echo device! Plus, Amazon Prime Members have unlimited access to thousands of books, movies, magazines and songs for no additional cost!